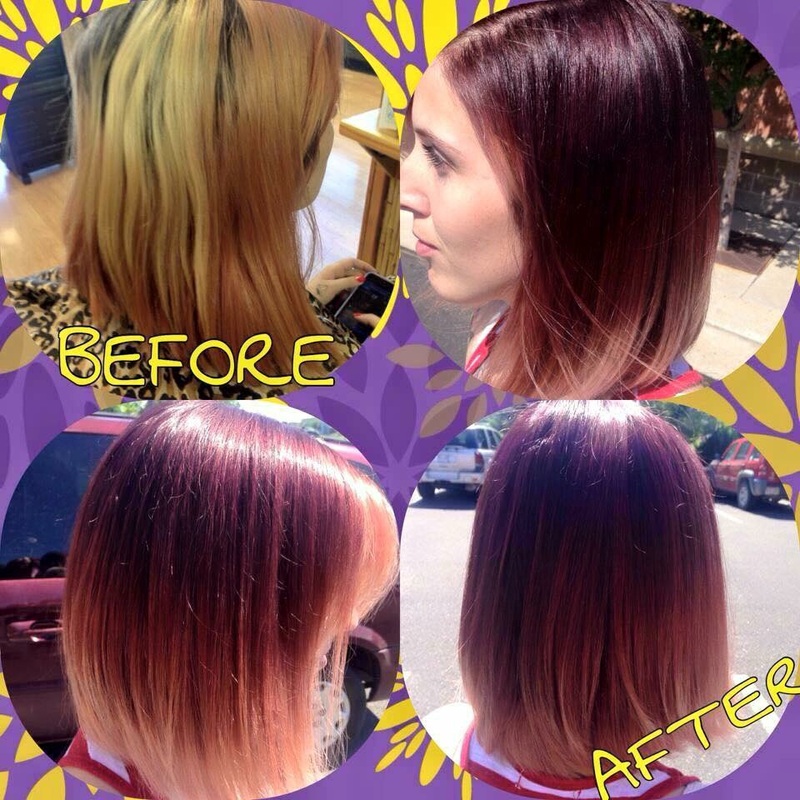 Looking for the latest on Trend for Hair Color? 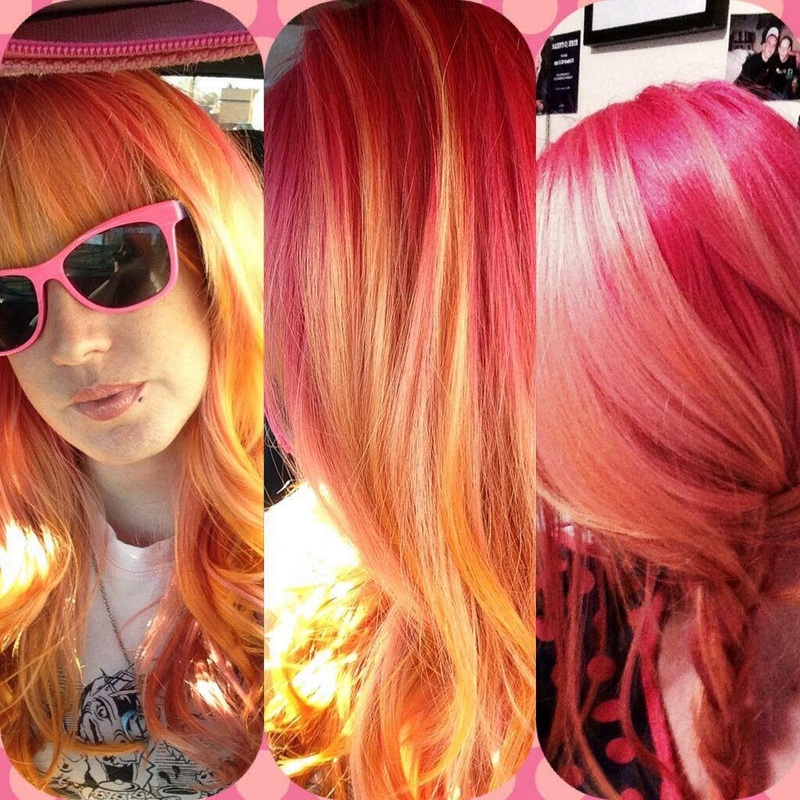 Bright Fashion Hair Colors are IN! 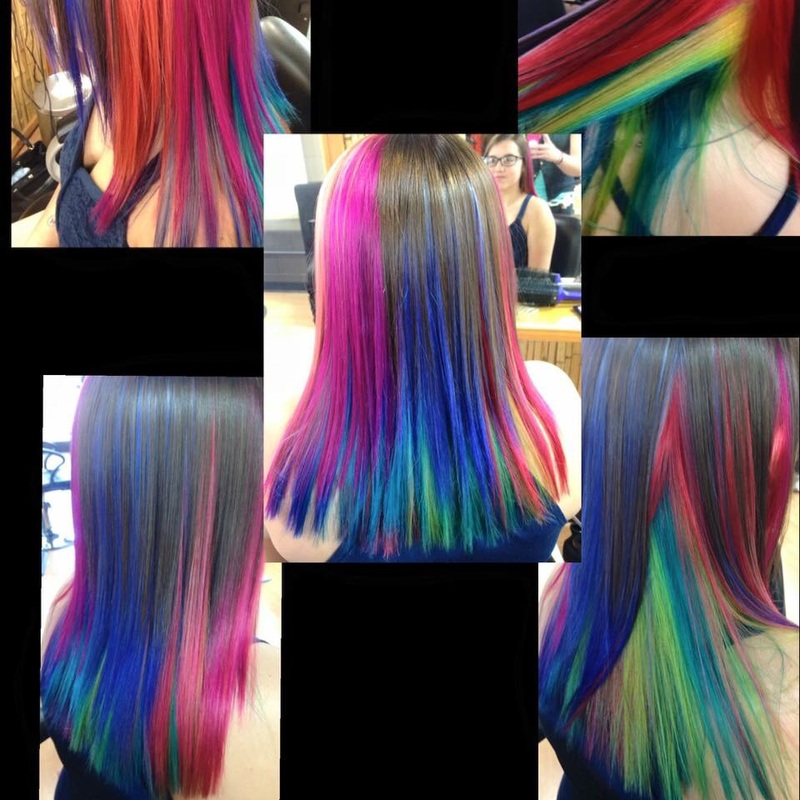 Bethany is a hair artist and will create a one of a kind color for your hair in any color combination you can think of. Pink, Purple, Aqua, Blue, Yellow, Orange, Red or Green hair? Bethany will make it beautiful and fabulously fun! I can’t get enough of fun color so if you have always wanted to have orange and blue hair for the broncos or pink hair to match your dress… I can make that happen. Shades of Blue Fashion Colors on this Dark Hair look Fabulous! 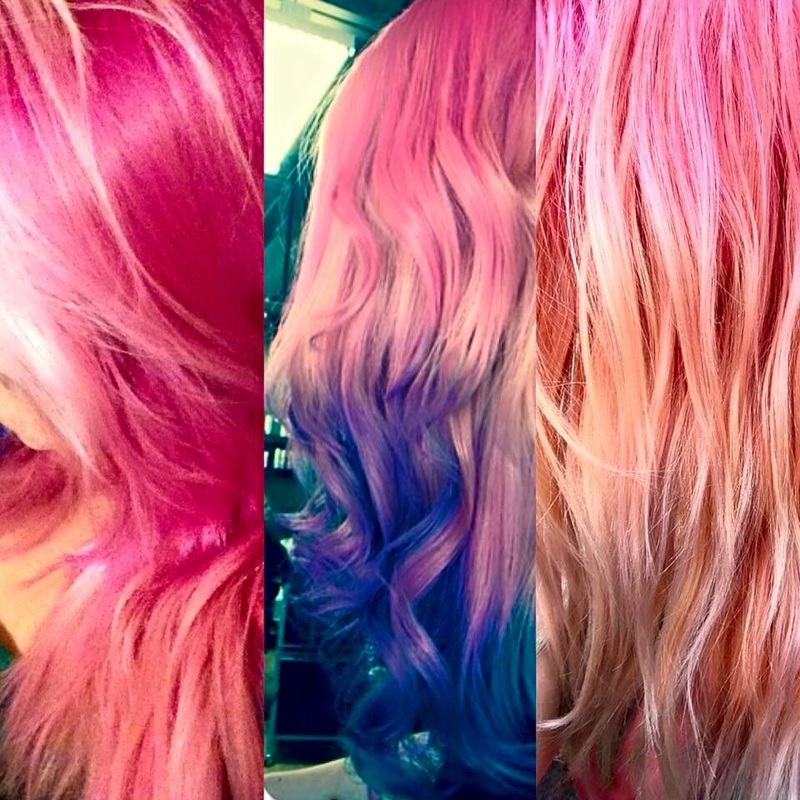 How about some mermaid fashion color hair! Red to Purple to Blue. You can’t have any more fun with your hair that this. It’s really fun to create updos when there is some fun color in your hair. Fun Fashion Colors Bethany did on herself! 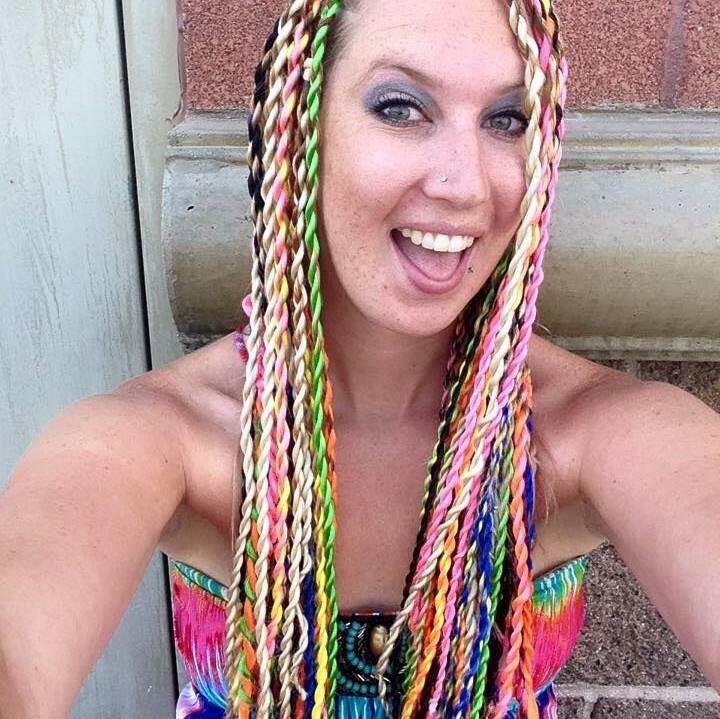 Have all the colors in your hair like a Rainbow! Yellow, Orange, Blue, Green, Teal and Purple. How fun! 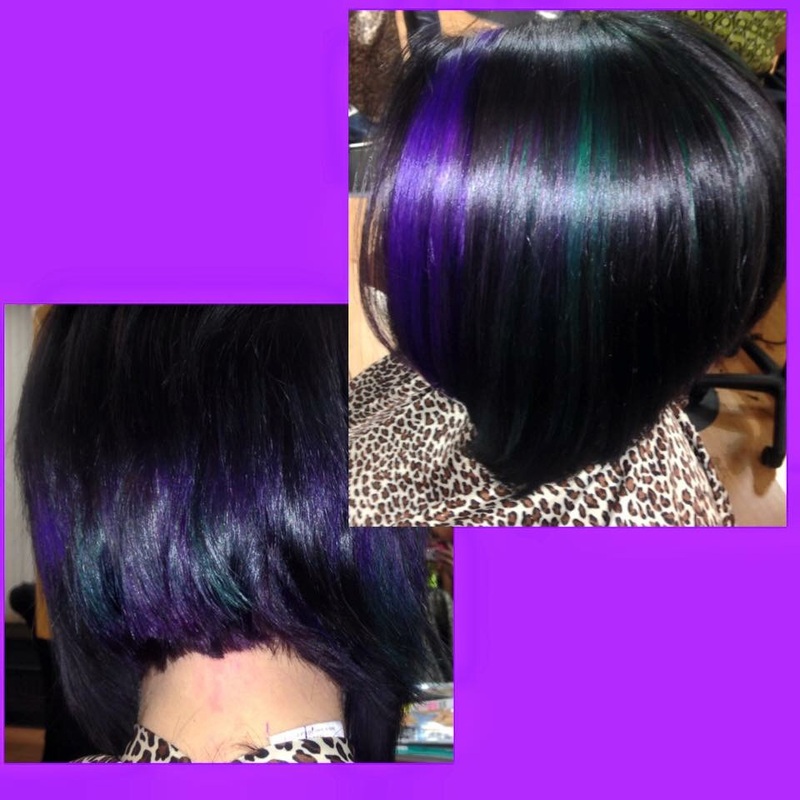 Purple Teal and Aqua in this dark hair with an undercut tattoo. Blue, Teal and Purple fashion colors look fantastic in dark hair. 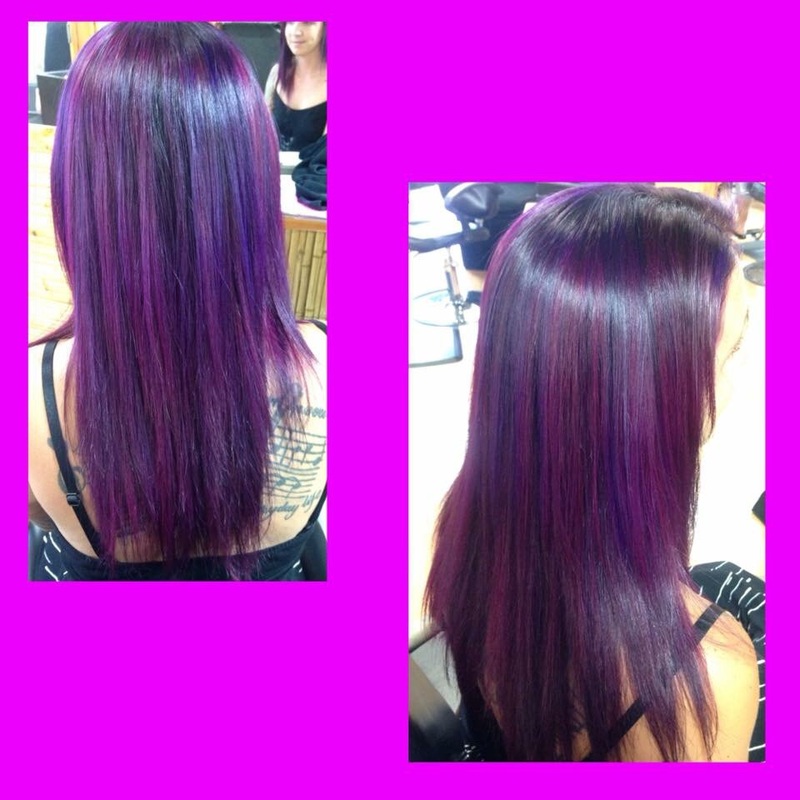 Fashion hair color Bethany did on herself! 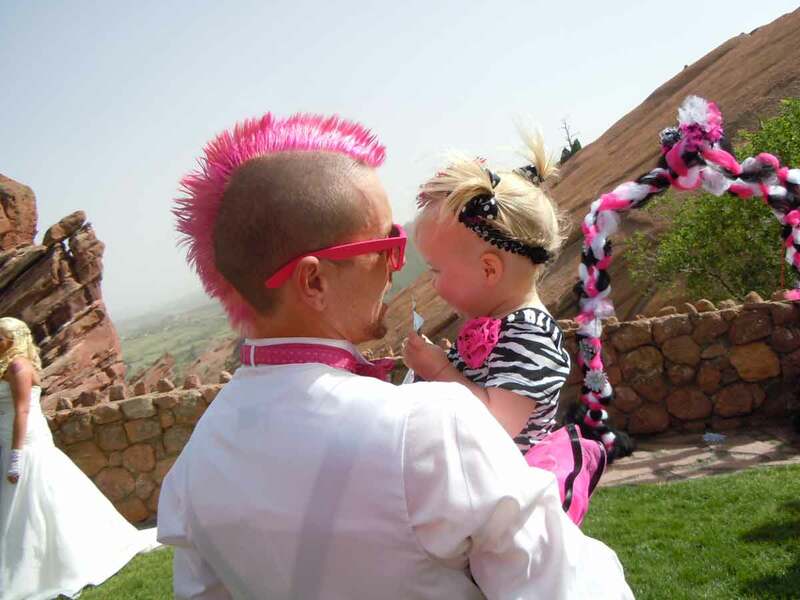 Not every guy can get away with a pink mohawk at his wedding. For little girls we can do temporary color chalk in their hair, just ask Bethany. 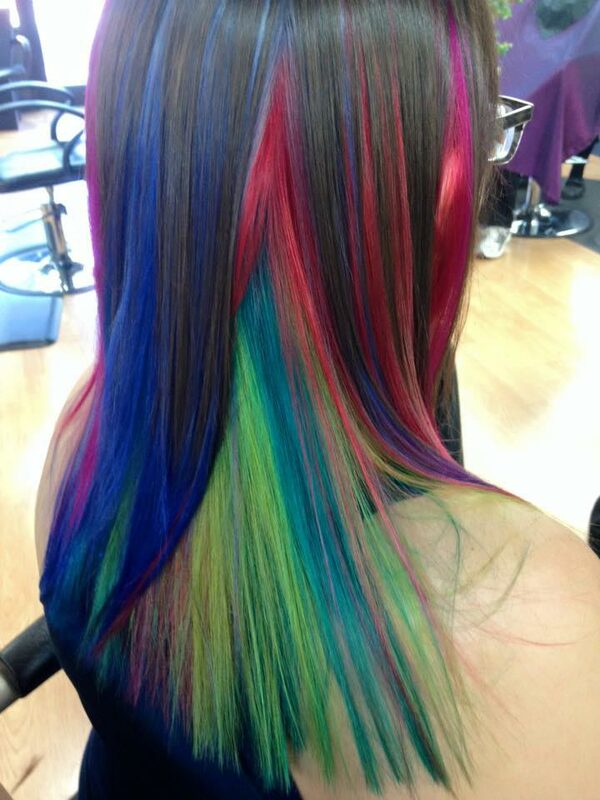 Check the Facebook page for even more examples of fun and funky hair color creations.